Solo travel is fun. But sometimes you meet someone special along the way and your solo travel starts being much more fun. 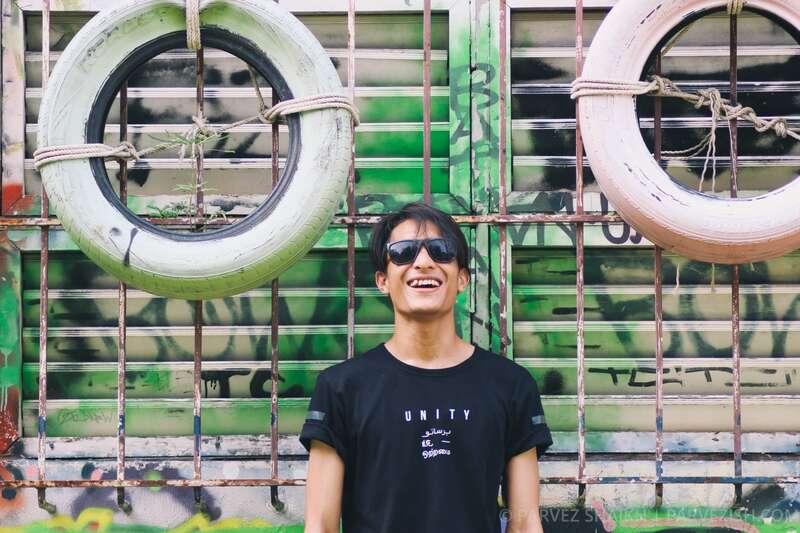 Here's a story about one such person I met in Bangkok. Those who follow my journey know that I prefer to travel solo. You also know that I am an introvert and usually keep to myself. One usual misconception about introverts is that they don’t like people, that they don’t like to socialise. As an introvert traveller, the least I can say in my defence is that it’s not true. Yes, I prefer to keep my circle small, avoid short talks, and don’t get along with everyone so easily, if at all. A room full of people drives me crazy and parties are not for me. I don’t like it when I’m at the centre of attention and it makes me very anxious. But being an introvert doesn’t stop me from making friends. Sometimes, strangers you meet along the way turn out to be a good company. And to become friends with them? Well, that’s possible, too. Even for an introvert like me. 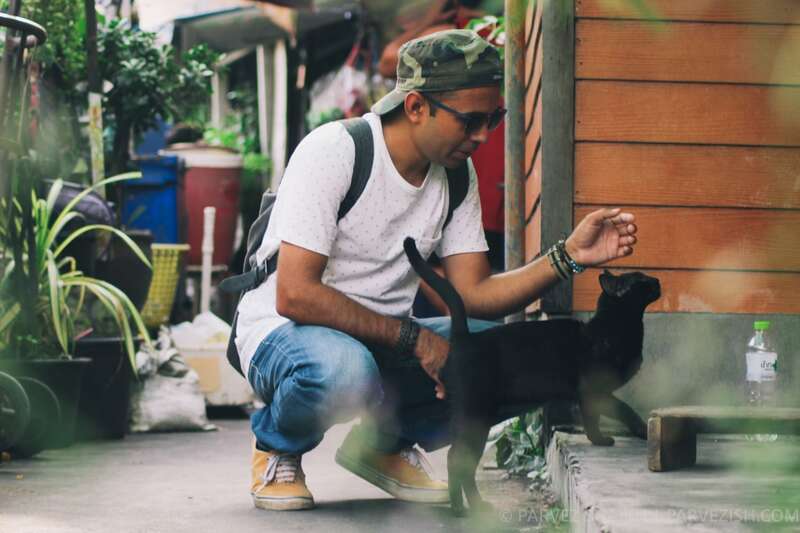 This article is about one such stranger I met in Bangkok. A stranger who made my solo travel much more fun. Who chose to stick with me throughout my time in Bangkok. Someone equally dynamic, crazy, unpredictable and someone who is a devoted extrovert. I met Khalyf – from Kuala Lumpur, Malaysia – at Bangkok Arts and Culture Centre one evening. Right from the moment I introduced myself, we got along really well. Our work was somewhat related, our music interests matched closely. Moreover, he was also travelling alone. Before we parted our ways that night, Khalyf gave me a phone with internet. This way I could stay connected with him and others. I asked him to leave me a message if he was available to meet in coming days. Usually, when you meet someone along the way, you seek possibilities of meeting again. But things don’t really work that way and you usually don’t hear back from them. I don’t, at least. But in Khalyf’s case, this turned out not to be true. He left a message the next day and we decided to meet. He asked me if I would join him for a visit to ChangChui night market where he was to meet someone. I said yes and we took a long ride first on a ferry then in a bus. During this time, we both came to know we were both pretty much alike. We enjoyed that evening at Chang Chui and decided to meet again. One thing was clear after that visit to ChangChui. Both I and Khalyf were pretty much alike. We were both young, broke, and carefree. Our similarities helped us form a special bond that I had not seen in a while. What came next was fun, loads of fun. We would finish our work by the noon and meet every day in the evening. Every evening, we would go out to explore different parts of an interesting city called Bangkok. Our curiosity led us to visit different markets, some ‘adult entertainment zones’ among other interesting places, and taste different street food offerings. Together, we enjoyed Bangkok’s nightlife, shot many photos and videos, and learned many things from each other. We spent many midnights doing things we would never have done alone. We would sit somewhere in dark and go on ranting about life. After returning to our ‘normalities’, we would continue wandering around and reach our places before dawn. I can’t explain the bond we shared all these days, but it felt like we were lost brothers. In addition to the craziness that we shared, we also shared respect for our work. He admired my photography and I loved his perspective. And that kind of sums up the reason why we got along so nicely. We learnt many things from each other and started to look for ways to work together someday. Travelling continuously has its disadvantages. After spending nearly three weeks together, I and Khalyf had to part our ways. 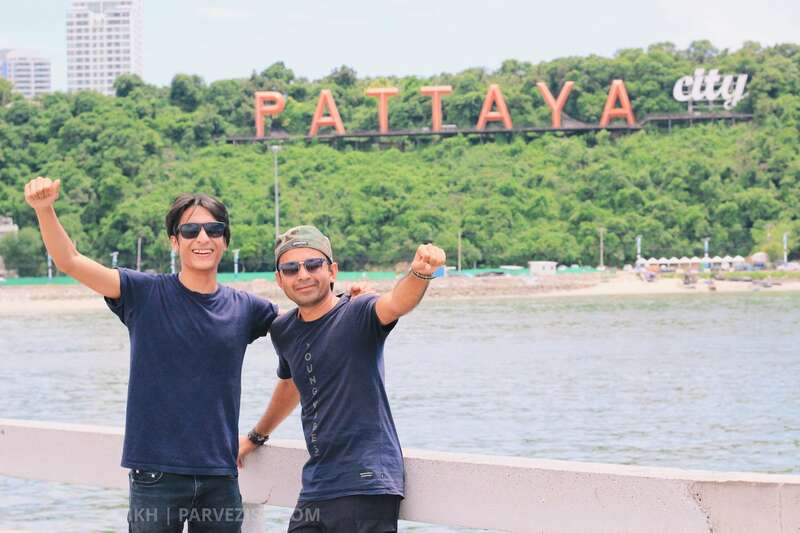 We spent our last couple of days together in Pattaya. On the day of my flight, Khalyf came to see me off. We created a bit of a scene at the airport, too! It felt like we knew each other for years and parting ways seemed impossible. But facing facts is hard and you have to do what needs to be done. The moment he left, I started missing him. I dialled Khalyf’s number one last time and spoke to him for a while. I invited him to my place whenever he wanted a little getaway. We also jokingly dreamed of meeting for a cup of coffee in some European city. Oh, things never felt this nice. It seemed like the time had stopped for all these days and the reality was far far away from us. We felt untouchable by the reality bug. Meeting a stranger, becoming friends, and having fun together is a part of travelling. It’s pretty common to find someone to hangout with and part your ways forever. But meeting Khalyf and ending up having such a good bond was surprising for me on many levels. 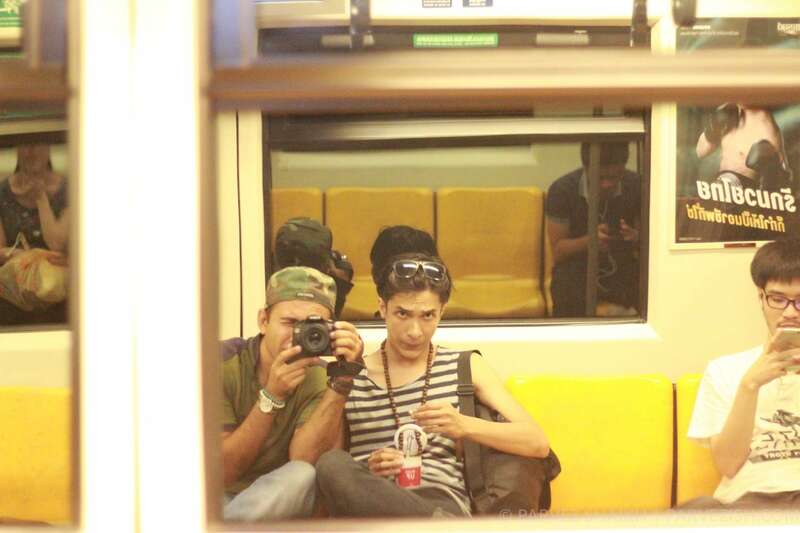 All those days we spent together in Bangkok were the best days of my journey. I am not sure when we will meet again and where. But having stored all those beautiful memories in my mind, I feel the urge of meeting him soon. This article serves as a thank you note to Khalyf for all the good times. I know this article seems incomplete. Because the story itself is incomplete. What about you? 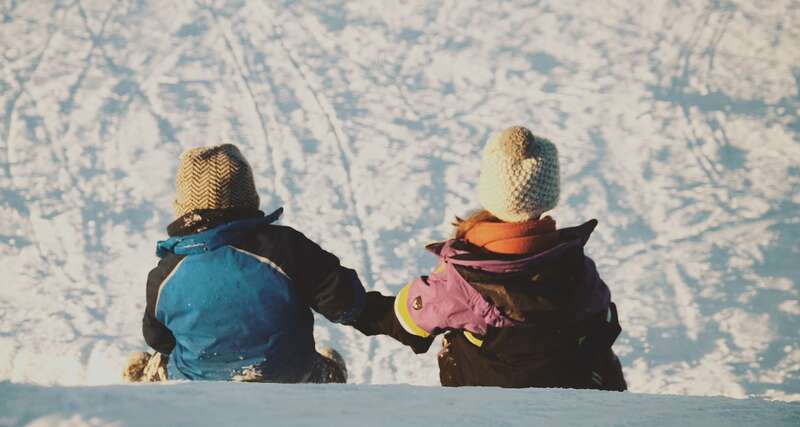 Did you meet someone special during your solo travel? Do share your experience with me. Did you like this article? Please share it with others. I can’t agree more, Kay. Thank you for your meaningful comment.